NeoOffice 2017.7 – Mac-tailored, OpenOffice-based productivity suite. 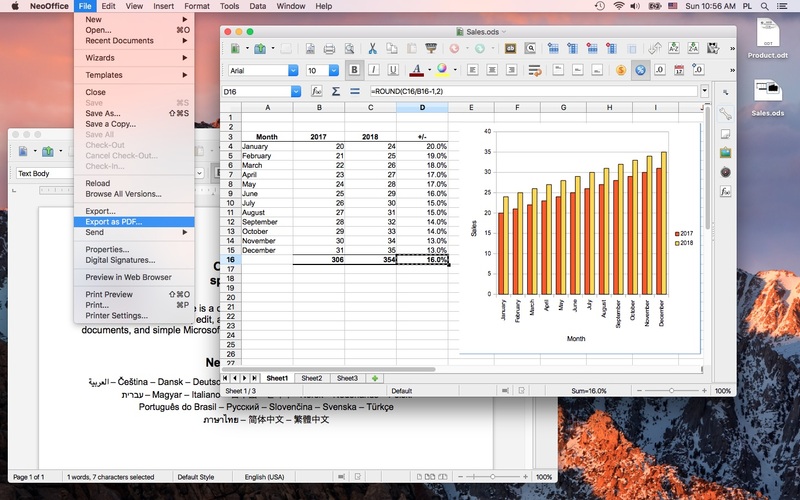 NeoOffice 2014.9 – Mac-tailored, OpenOffice-based productivity suite. Microsoft Office 2016 16.10 – Popular productivity suite.